Sue Foley is a multi-award-winning musician and of the one of the finest blues and roots artists working today. She is a veritable triple-threat of musical talent as a guitarist, songwriter and vocalist. As with many blues women of the past, Foley has a long history of defying convention, and being a positive role model for aspiring, young female musicians. The Canadian has been working professionally since the age of 16, and by the age of 21, Foley had relocated to Austin, TX and began recording for Antone’s—the esteemed blues label and historic nightclub that helped launch the career of Stevie Ray Vaughan and many others. 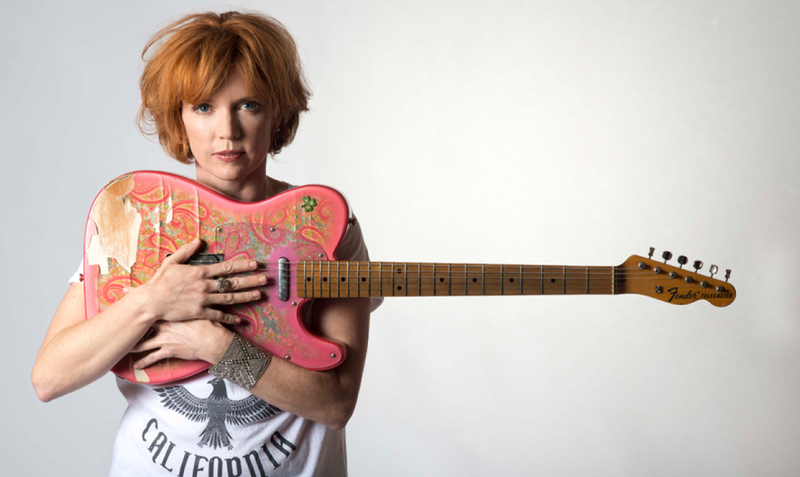 In the two decades that have followed, Sue Foley has been busy touring and recording steadily, all while toting her signature pink paisley Fender Telecaster. In 2001, she won the prestigious Juno Award (Canadian equivalent of the Grammy) and also holds the record for the most Maple Blues Awards and has earned three Trophees de Blues de France. She has also garnered several nominations at the Blues Music Awards in Memphis, TN. A flood of inspiration and themes can be found on each of the tracks – ranging from lost love, anguish, and struggle to release, forgiveness and rebirth. Mostly recorded live-off-the-floor, Foley’s emotional vocal delivery, conviction, accessible yet inspired lyrics and intrepid guitar playing are all laid out, bare and raw for the songs to reveal. Opening with the radio friendly and funky “Come to Me”, The Ice Queen also features upbeat and rollicking tracks “Run”, “The Lucky ones” (a duet with Jimmie Vaughan) and “Gaslight”. There are several bluesy and soulful tracks including “81”, “The Ice Queen”, “Fool’s Gold” (featuring Billy F Gibbons on vocals and harmonica)”, “If I Have Forsaken You”, and a cheeky, guitar-heavy cover of Bessie Smith’s “Send Me To The ‘Lectric Chair”. Foley also provides some more mellow and unexpected songs on The Ice Queen with the jazzy “Death of a Dream”, the flamenco-blues hybrid “The Dance” and a beautiful cover of the Carter Family’s “Cannonball Blues”. you can’t keep a good blueswoman down, particularly when she is The Ice Queen.